Arianespace and Inmarsat have signed a launch contract for Inmarsat’s Global Xpress-5 (GX-5) very high throughput communications satellite. The satellite will be orbited by an Ariane 5 heavy-lift launcher from the Guiana Space Center, Europe’s Spaceport in Kourou, French Guiana (South America) during the second half of 2019. The GX-5 satellite will offer services covering the Middle East, Europe and the Indian sub-continent. The payload will be fully integrated into Inmarsat’s current GX high-speed network. GX-5 features a design life of 16 years and will weigh about four metric tons at launch, with a payload rated at approximately 6.8 kW of electrical power. Artistic rendition of Inmarsat's GX-5 satellite. Inmarsat’s GX-5 satellite is based on Thales Alenia Space’s upgraded Spacebus 4000 B2 platform. 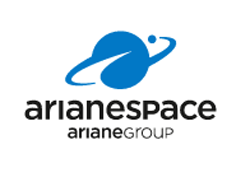 Commenting on this latest contract, Arianespace Chief Executive Officer Stéphane Israël said that with this new launch contract, the company's partnership with Inmarsat continues, a partnership that dates back to 1981. This is the 10th time Arianespace has been selected by Inmarsat for the launch of the very high throughput satellite, only four months after the successful launch of the Hellas Sat 3-Inmarsat S EAN “condosat” with an Ariane 5.